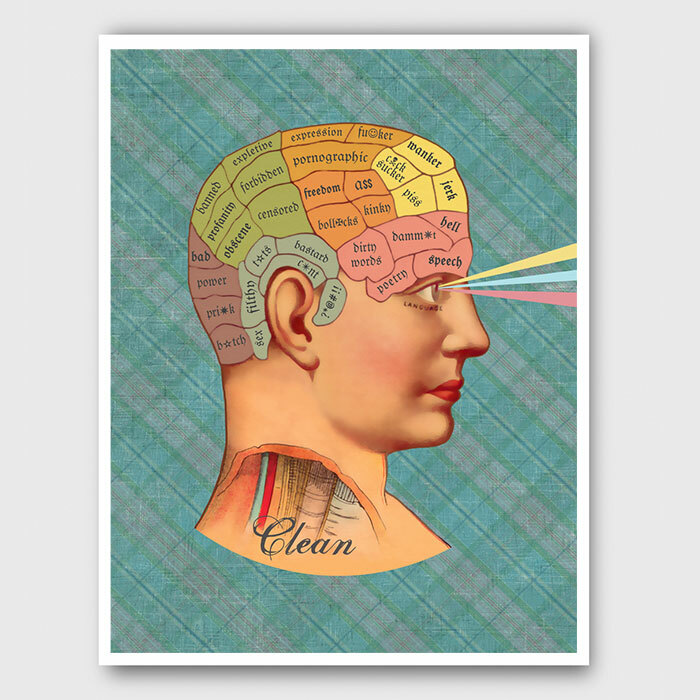 This giclée art print is titled "Clean Mind". 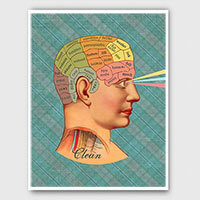 To create this mixed-media illustration I used a mixture of collage and traditional and digital painting. 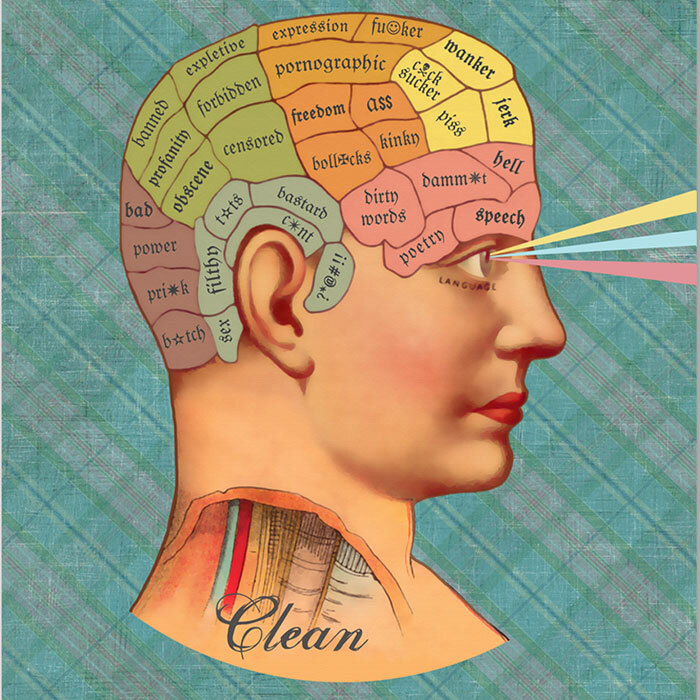 Phrenology has never been about real science, but as a pseudo-science it's kind of fun and over the years there have been a shocking number of images depicting where exactly certain parts of our emotions and behavior are "located" in the mind. I've always had a bit of an aversion to censorship and am always a bit confounded by the reaction to some peoples frightful reaction to "vulgar" words. This is my play on my fascination with phrenology heads. I've updated this version to give our phrenology man laser eyes and a circuit board inspired background.